What are my dreams about? 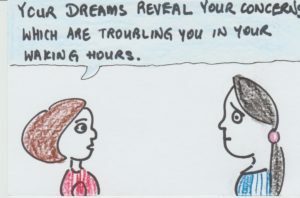 Dreams are about my issues/ concerns/ problems during waking life. Dreams continue from waking reality.